THE SECRET TO HEALTHY & BEAUTIFUL SKIN IS PROPER EXFOLIATION, AND THIS IS IT! 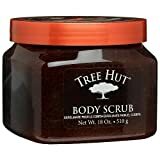 - Maybe you have been dealing with dry skin, wrinkles, scars, cellulite, stretch marks...regardless of the issue, have you been properly exfoliating? This is your answer! 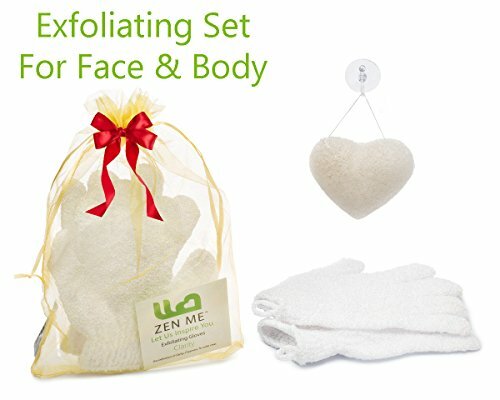 BEST FACE & BODY EXFOLIATION SET - Perfect for daily deep natural skin cleansing and skin renewing, removal of blackheads, dead skin cells AND for better blood circulation leaving you fresh and clean very day. It will minimize pores which firms your skin and leave your complexion bright and radiant. 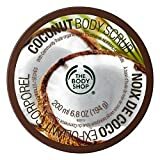 Great to smoothe skin surface for even tanning and self - tanning products. BRING OUT YOUR NATURAL SKIN TONE - Our Organic Exfoliator Cleanse Sponge, more gentle than regular scrubs, is suitable for very sensitive, even babies skin, rosacea, psoriasis and dry flakes that are difficult to buff away without irritating. The organic makeup of our facial spnge is perfect to improve skin texture, hydrate and restore pH balance, is paraben and sulfate free. MACHINE WASHABLE PREMIUM QUALITY GLOVES: The textured and elasticized mitts stretch to fit any hand, men and women. They can go in the washer and dryer after each use to make sure they stay fresh and are ready for the next time. UNCOVER YOUR RADIANT SHINY GLOW ON YOUR FACE AND BODY NOW - Say good bye to toxic cleansers, expensive procedures, or ridiculously hyped exfoliators that don't work. Try your exfoliation kit now and see the difference it will make for your skin or you get your money back! We know first-hand just how difficult and costly it can be to try to look and feel your best. That's why we created this natural skin-beautifying product. Rather than adding harmful, toxic ingredients to your skin...why not exfoliate and remove the impurities to unveil the gorgeous, vibrant glow of your skin the natural way? You can finally smile when you look at yourself in the mirror. Having gorgeous and healthy skin doesn't have to cost you a fortune!